Ever since we changed to a new and bigger bed, I was looking for a new bedroom light. This turned out not to be as easy as I thought it would be, so a few months passed by before I found the perfect match. But I found the perfect match and I’m showing you on the blog today! The biggest reason for it not being so easy as I thought, is the ceiling light in our bedroom. It’s quite the statement; it’s big and the design is pretty bold. 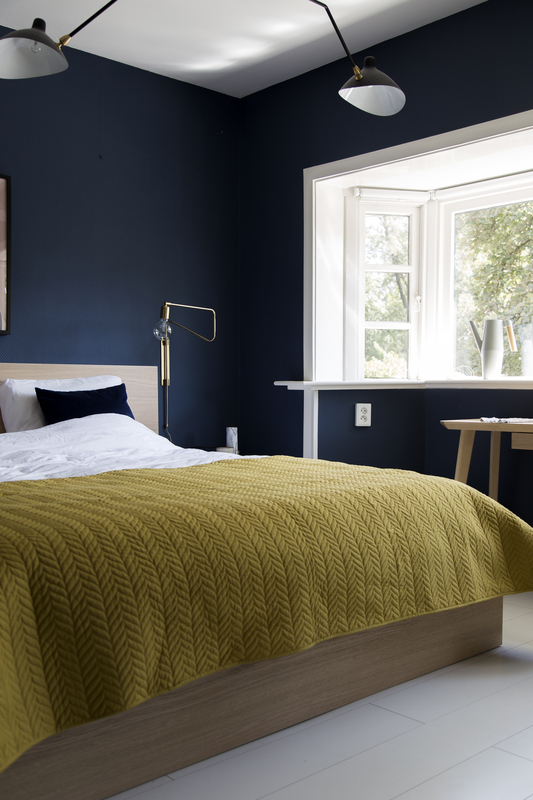 Next to that I am a minimalist at heart, especially for the bedroom. This room is for sleeping, so I don’t want too much distraction going on. So because of that big light on the ceiling, any wall light should fit that sphere and compliment it, instead of clashing with it. I knew one thing: it had to be a light hanging on the wall, I am such a sucker for them. This also allows you to still keep your space on your bedstand. 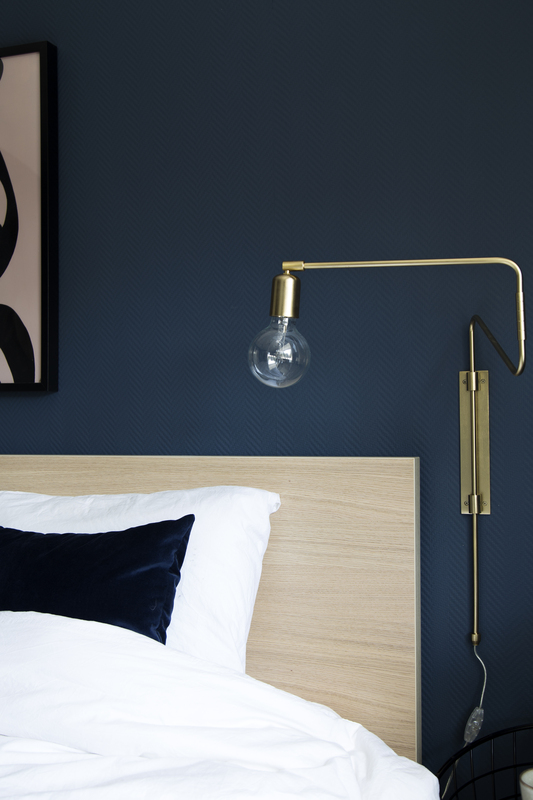 Next to that, a wall light is very practical because you can move it around, as opposed to a table light. Especially if you love reading like me – you can see the latest Karin Slaughter book on the nightstand – you need a good light. 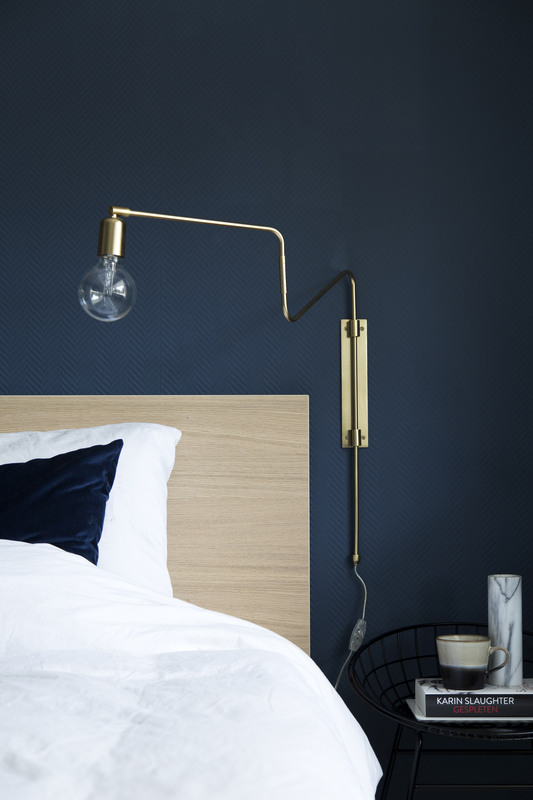 I found this gorgeous brass wall light and it’s by House Doctor, a brand I love. 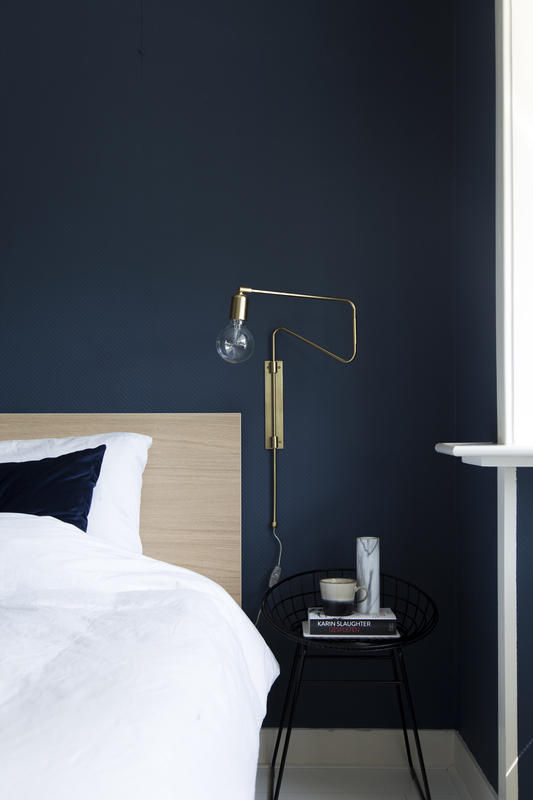 It fits the mood of our bedroom perfectly; dark, minimal, and with natural materials. So yay, we are very happy with it! PS. This post is part of a longterm collaboration with fonQ.nl. I only work with brands/shops I love.